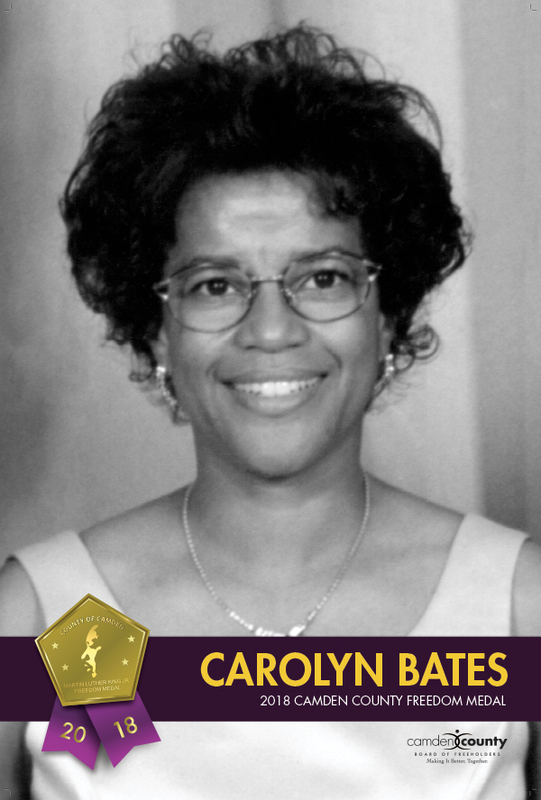 Carolyn Bates started her 38-year teaching career at Edgewood High School, which in 2001 changed to Winslow High School, where she taught biology and chemistry. She was in charge of the African American Culture Club, which visited seniors throughout Winslow Township and performed at school assemblies. Carolyn was also the director of student peer mediation. Alongside her teaching career, Carolyn is also an active member of the community where she is a member of Christ Care Missionary Baptist Church and participates in the Civic Association in Sicklerville. For 22 years, she has been involved with the Winslow Township Rotary Club serving as President, Vice President, and Secretary, as well as helping plan and develop programs such as the mentoring program, Haiti relief efforts, and Strike Out for Hunger 5K, just to name a few. Carolyn retired in 2010 and is living a good life with her husband Russell, two daughters Crystal and Tiffany, and granddaughter Jasmine. Carolyn is from Winslow Township.